Visiting Château de Versailles is a magical yet exhausting experience. You can't possibly see it all in one day, as much as you may try. While there are lovely hotels in the town to extend your visit, there is none that will be as conveniently located as the proposed ﻿Hôtel du Grand Contrôle which is actually part of the Versailles complex. 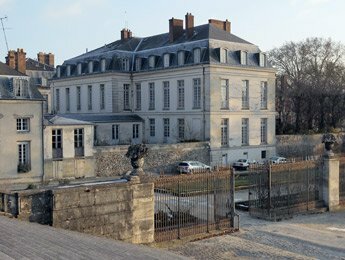 The mansion was built in 1684 by Jules Hardouin-Mansart and traditionally housed the treasury. It will be renovated by the Belgian company Ivy International SA who has a lot of work to do on the deteriorated building. Once open in 2011, the 23 room hotel will overlook the Orangerie and ornamental lake and might just make you feel like Marie Antoinette. Just don't tell the staff to eat cake!